This morning Liz came in for her weekly music and singing lesson. 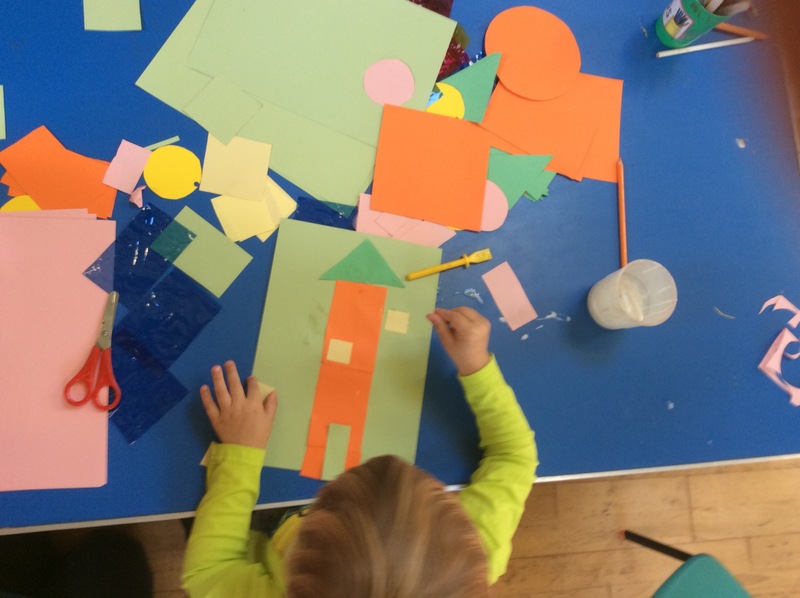 The children sang lots of songs and role played as frogs and kangaroos, jumping all around the hall. 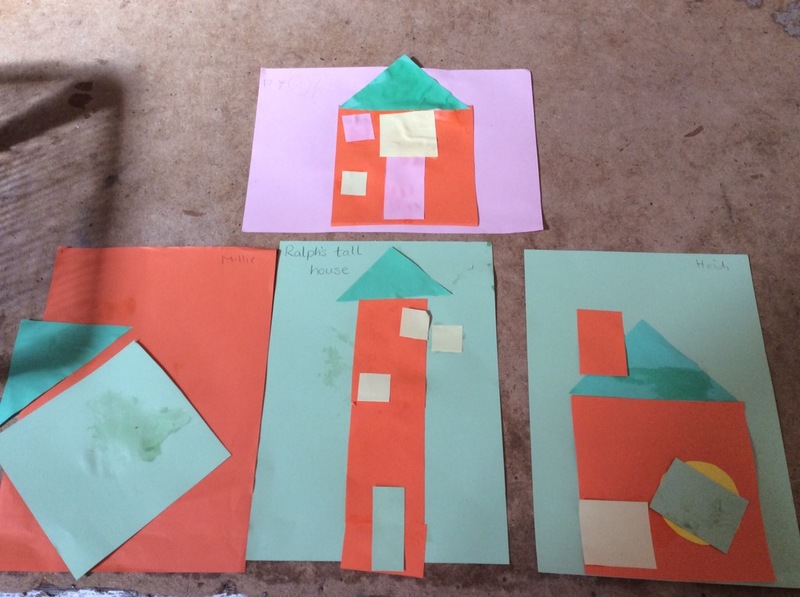 Today’s shape activities included making our houses out of pre-cut shapes. 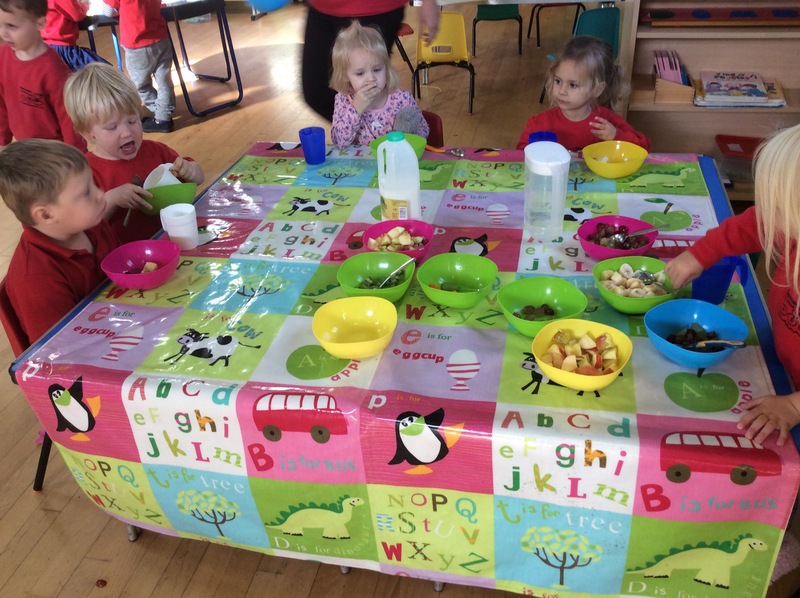 The children also took it in turns cutting our snack time fruit into circles, oval, rectangles and squares. 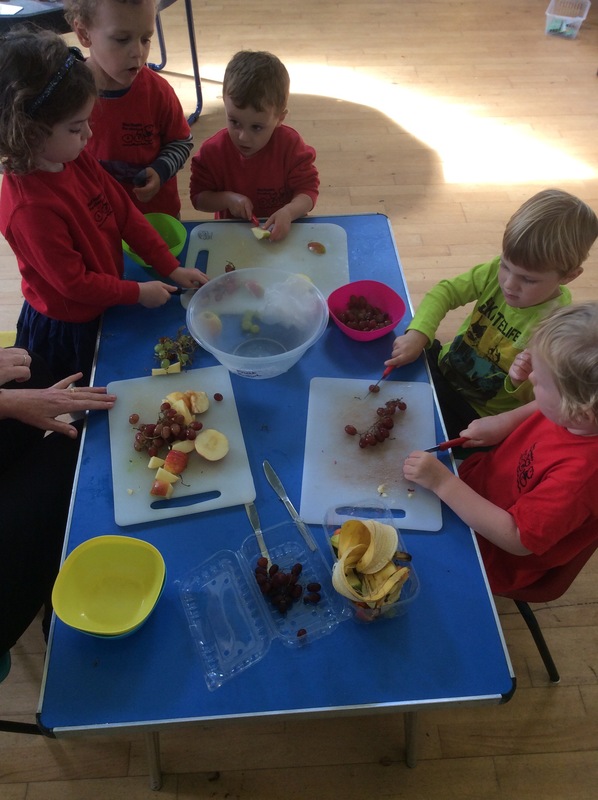 Our cutting fruit exercise was not only great for learning our shapes it also helped to develop social skills, hand eye coordination, communication and learning about healthy eating. Outside the children initiated a game of hide and seek with the dinosaurs. All the children joined in with this game. Before we went home Rebecca read ‘We’re going on a bear hunt’ by Michael Rosen.